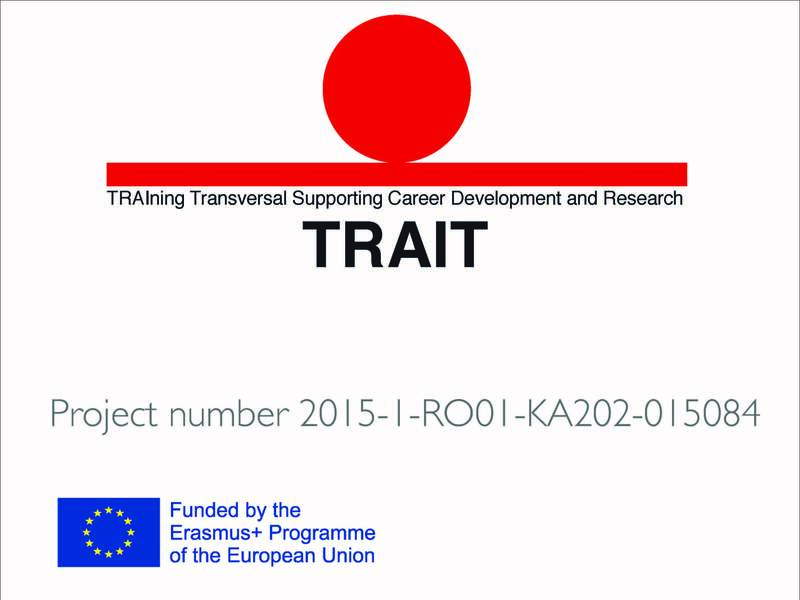 TRAIT – TRAIning Transversal: supporting career development and research is an ERASMUS+ project – Strategic partnership in VET field. In the future, creativity, the ability to think laterally, adaptability and other transversal skills will be valued more than the specific bodies of knowledge that schools have traditionally taught. Strategic framework for European cooperation in education and training – ET 2020. Drawing inspiration from this vision, TRAIT has got three priorities. promote high quality work-based VET. one research analysis on how the selected six transversal skills – interpersonal communication, learning to learn, social and civic competences, sense of initiative and entrepreneurship, cultural awareness and expression, ethical values and sustainable development – are represented in the work-field. One blended learning toolkit mixing three different combined approaches and made-up of three different sub-outputs: 1. an online e-learning platform; 2. a manual of transversal skills; 3. a face-to-face training material including methods and techniques to apply the key concepts of the six transversal skills in direct workshops with the learners. TRAIT is all this and much more. To know more about our project, about us and about ERASMUS+ program, visit our project website and subscribe to our newsletter.